Lake James is more than just a 55+ community—it’s a lifestyle. Located in beautiful north Lakeland, Florida, Lake James was founded in 2004. Upon completion, the community will contain over 200 single-family homes. A captivating clubhouse is the hub of the community, where residents can partake in many social events and activities. Lake James also wows visitors and homeowners alike with picturesque scenery. Enjoy paved walking and biking trails, and a grand 8-acre lake. 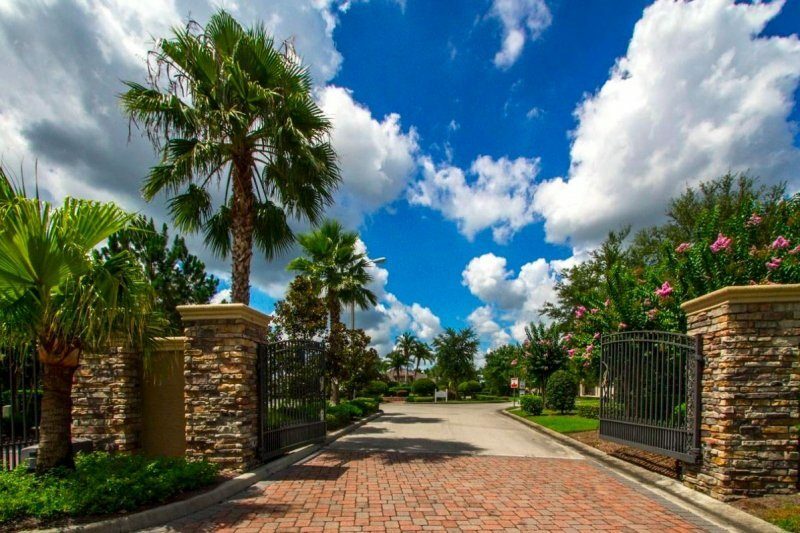 Just beyond the gates of this charming community, you’ll find easy access to restaurants, shopping, and entertainment. Among the many amenities available to you at Lake James, you’ll find an alluring outdoor heated pool surrounded by a spacious patio. It’s the perfect place to decompress or enjoy a barbecue with friends and neighbors. If you want to stay active, it’s easy at Lake James. Walk or ride along the charmingly scenic trails throughout the community, perfect for an early morning or evening stroll. In addition, the clubhouse offers residents a state of the art fitness room. Here you can partake in group fitness classes or use a variety of weight training and cardiovascular equipment. Of course, the 2,000 square foot clubhouse also houses a large catering kitchen, game room, and a lounge. Watch the big game, socialize with neighbors, or host and a family gathering. All the gorgeous homes in Lake James are built by the award winning Ernie White Construction team. Ground first broke in 2004 and upon completion there will be over 200 single-family homes in the community. As floor plans range from 1,510 to 2,420 square feet, they appeal to homeowners of all preferences. The spacious layouts offer up to three bedrooms, two bathrooms, and attached two car garages. Equally as important, all homes feature modern designs and conveniences. The low-maintenance exteriors and open floor plans are ideal for active 55+ adults. Additional features include: private master suites, eat-in kitchens, and covered lanais which are perfect for enjoying the striking views and stunning Lakeland, FL sunsets. Homes are available for purchase as new or resales. In the 2012 Spring Parade of Homes, a Lake James model home won “Best Master Bath” and “Best Exterior.” Couple that with their twenty “Home of the Year” awards and over thirty-five years of experience you know you’ve found a homebuilder you can trust. The community of Lake James is proud to offer residence maintenance and worry-free living. You’ve certainly earned it. By collecting a homeowner’s association fee, your lawn maintenance, edging, basic cable, street lighting and upkeep of the clubhouse, fitness, and pool areas are all covered. All that’s left for you to do is enjoy your community. The low monthly maintenance fee is currently $170.00, the homeowners association fee is $550.00 annually. Lake James is located in central Florida and is part of the lovely city of Lakeland. 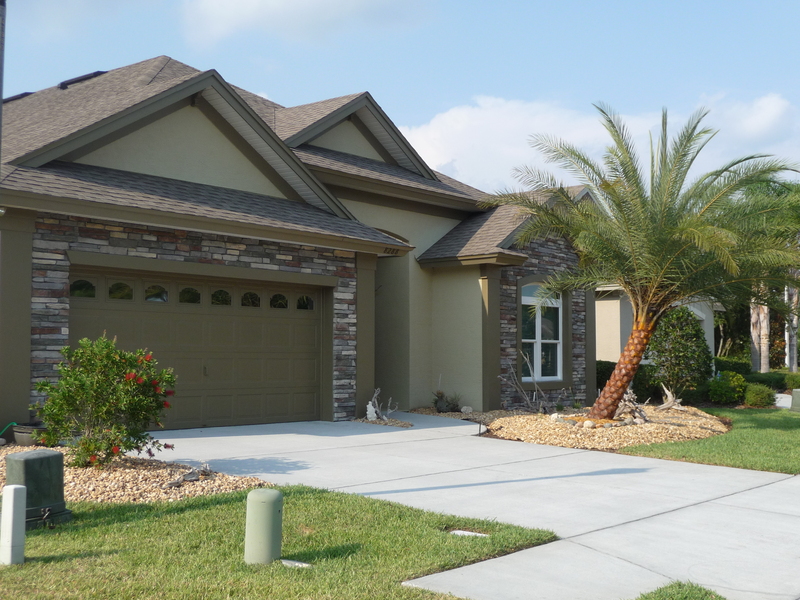 Situated perfectly between Tampa and Orlando you will have easy access to both via the I-4 interstate. Of course Lakeland is home to many stunning lakes. This offers great opportunities for boating, fishing, and other water themed activities. In addition, you’re never far from several golf courses throughout the area. Sports fans also have the unique opportunity to watch the Detroit Tigers whom have made Lakeland their spring training home. With that said, living the Florida lifestyle has never been so easy! Lake James is poised in the optimal location to offer convenient access to dining, shopping, hospitals, and churches. Of course, a it’s just a short drive to all the major attractions, theme parks and beaches too. The Lake James community a perfect place for active 55+ adults to live and enjoy time surrounded by a friendly community and breathtaking scenery. Contact me more information about buying or selling an available home in the Lake James community.